It’s a great place to get the With A Little Helper From My Friends achievement. WG is one place where it’s fairly easy to get a lot of HKs without getting repeatedly killed by the other side, provided you’re smart and you use cover and teamwork appropriately. It’s easier if you’re the defending team, of course. And best of all, there’s no deserter debuff – if you loseWeight Exercise your gnomeness halfway into the match, just nip out, regnomify yourself, and get back in there to finish the battle. I got all my kills in about 25 minutes of a defending WG this morning. If you’re a healer, you can heal from the back of a moving siege engine. I had always assumed it would be impossible for spells with a cast time, that you’d get prevented due to movement, or that you’d be locked out from doing anything when you’re a passenger. But no! Protected by the tank, and free to cast to my heart’s content? I have a new favourite hobby. Patch 3.0.2 is expected to herald the introduction of the new Achievement system, so for many of us it’s time to start planning ahead and working on Achievements for which we can get retrospective credit. 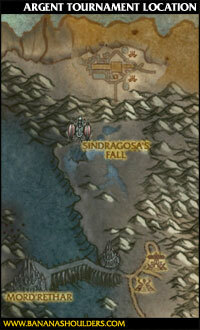 There are a number of Achievements centred around the current seasonal event, Brewfest. With a bit of careful planning, you might well be able to get credit for a number of these achievements from Brewfest 2008, instead of having to wait for next year. Please note that this is currently in development, and could change wildly at any time. Achievements have appeared and disappeared frequently during the Wrath beta; these may suffer the same fate. Also, please note that the Brewfest is a fun and original seasonal event, and the following guide is a very dry and analytical way to maximise a certain kind of reward. Don’t forget to actually play the Brewfest content, too. Get drunk, clobber Dark Iron dwarves, have fun! 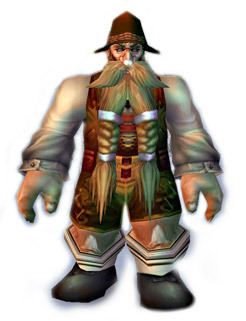 If you’re looking for a good guide to the Brewfest in general, I recommend Dwarf Priest’s “Beer Me!” guide. 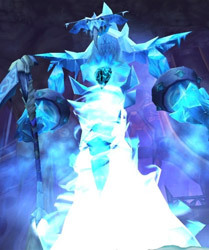 Direbrewfest – kill Coren Direbrew, the Brewfest special boss in Blackrock Depths. Down With The Dark Iron – defend the Brewfest camp from the Dark Iron attack and complete the quest, “This One Time, When I Was Drunk…” (which is the quest that becomes available every half-hour after the Dark Iron attack). Disturbing the Peace – while wearing 3 pieces of Brewfest clothing, get completely smashed and dance in Dalaran. 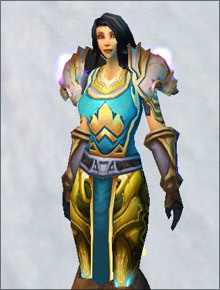 Obviously you can’t complete this until WotLK goes live, but you can get the clothes in advance so you won’t have to wait for Brewfest ’09. Does Your Wolpertinger Linger? – obtain a Wolpertinger pet. In Brewfest ’07, the Wolpertinger was a Brewfest quest reward – this year it’s purchasable from the Brewfest vendor for less than 50 silver. Strange Brew – drink the nine Brewfest beers. These beers are sold by the various brewmasters around the Brewfest camps; however, like the foods, they only last 2 days. The same trick of mailing them to an alt and then returning them should work, however. 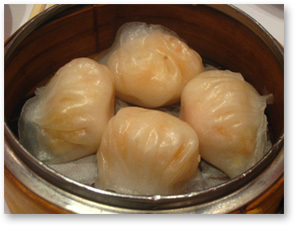 The Brewfest Diet – eat 8 of the Brewfest foods. These foods are sold by the various vendors around the Brewfest camps; however, they only last 2 days. They’re not BoP, however, so you can buy them and mail them to a banker alt, and leave them sitting in the mail (which doesn’t cost any lifespan), and mail them back when Achievements go live. Have Keg, Will Travel – obtain a Brewfest mount. Last year’s Brewfest Rams count, as do this year’s rams and kodos dropped by Coren Direbrew. Drunken Stupor – fall 65 yards without dying while completely smashed during the Brewfest Holiday. Unless 3.0.2 goes live before Brewfest finishes, this will have to wait for Brewfest ’09. Brew of the Year – sample 12 beers featured in the Brew of the Month Club. You join the club by handing in 200 Brewfest Tokens to the Brewfest Vendor, and every month you’re mailed a new sample of beer. Brewmaster – complete eight of Brewfest achievements (all of the above except “Have Keg, Will Travel”). The reward is a “Brewmaster” title. Obviously, as Drunken Stupor and Brew of the Year can’t be completed when achievements go live, neither can this achievement – and nor can any achievement which requires it (like What A Long, Strange Trip It’s Been, the overall World Events achievement which awards a Violet Proto-Drake mount). Buy one of each type of Brewfest food and drink from the vendors, and mail them to a bank alt. Leave them sitting in the bank alt’s mail; return them after 29 days, and mail them off again if Achievements still aren’t live. Once Patch 3.0.2 goes live, mail them back to your main character and consume each one. This will complete Strange Brew and The Brewfest Diet. 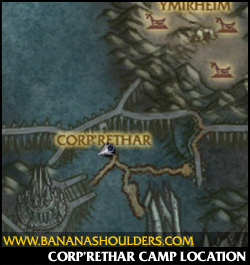 Apart from normal questing, there are two important things to do in your faction’s Brewfest camp. The first is to buy a Wolpertinger pet from the Brewfest vendor if you don’t have one from last year, for Does Your Wolpertinger Linger?. The second is to stick around until the hour or half-hour, and help defend the camp from the Dark Iron dwarves by throwing beer mugs you pick up from nearby tables. Once you’ve defended the camp, you can click on a piece of leftover Dark Iron machinery to get the quest that will give you the Down With The Dark Iron achievement. This quest is repeatable daily and awards Brewfest tokens; see below for more details about tokens. Go and see Darna Honeybock in Kharanos (for Alliance) or Slurpo Fizzykeg on the road to Razor Hill (for Horde), and get the quest to find the Brewfest spy in BRD. You’ll need to be level 65 to get this quest. Head to BRD, zone in and just to the right you’ll see some Dark Iron dwarves digging around some rubble. Kill them and use the consoles, and you’ll be transported via Mole Machine to the Grim Guzzler bar within BRD. The spy is just around the corner; he’ll give you a follow-on quest to insult Coren and kill him. Coren drops a quest item which you hand in for Brewfest tokens, and completing the quest will ensure that your kill of Coren will be credited for Direbrewfest when Achievements go live. Coren also drops the Brewfest Ram and Brewfest Kodo mounts; you’ll need one of these to get credit for the Have Keg, Will Travel achievement. There are no concrete figures on drop rate right now, but it’s looking fairly low – probably less than 10%. You’ll probably need to kill him quite a few times – each person can trigger the event once a day (on the standard daily quest reset timer) so a normal group can try five times a day for a mount. Brewfest Tokens are used to buy things from the Brewfest vendor, and can be gained from a number of quests, some of which are repeatable. You’ll need tokens to complete the Disturbing the Peace and Brew of the Year achievements. Disturbing the Peace, completed after Wrath goes live, requires you to have three pieces of Brewfest clothing. The hat (available in four colors) costs 50 tokens, the boots or slippers cost 100 tokens, and the dress or regalia costs 200 tokens – so completing this Achievement requires 350 tokens, minus the cost of any Brewfest clothing you got last year. Brew of the Year requires you to join the Brew of the Month Club, which costs 200 tokens. If you have any Brewfest Tickets left over from last year, you can exchange them (at a 1:1 ratio) at the Brewfest vendor. Killing Coren Direbrew the first time awards 40 tokens. Completing one of the Barking quests (riding around the city on a special ram) awards 15 tokens, repeatable daily. Completing There and Back Again (ferrying 3 kegs to the Brewfest camp, non-repeatable) gives 15 tokens. Completing keg runs awards 2 tokens per keg you ferry back; typically you should be able to do 10 kegs or more in the time limit. This is on a 12-hour timer, separate from daily quests, so if you time it right you can get 40 tokens or more a day. Completing the daily quest to defend the Brewfest camp from the Dark Irons awards 15 tokens. Thus, you get 55 tokens from non-repeatable quests, and can easily get 70 tokens a day (or more, if you’re good at ram riding) from repeatable quests. For those of you well-aware that I’m a tabardaholic, here’s the latest to grace my collection! This means, of course, that we succeeded in getting Ahune down on the first attempt, this time around. Group makeup was: bear druid, holy paladin, prot paladin (the alt of one of the frost mages from last time), fire mage (the other frost mage from last time, post-respec) and a (different) BM hunter. Bear druid tanked the hailstone elite elemental, prot paladin held the swarms of little elementals, holy paladin (moi!) healed, and the mage and hunter DPSed. 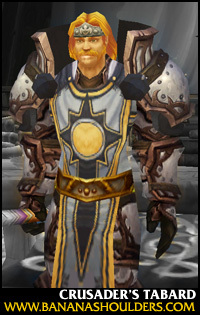 Zero problems – as it should be, given that everyone other than the prot pally was in T5+ gear. Given the un-sterling loot off him, I’m not particularly fussed about going back in to farm him, but I’m glad to be able to say the sucker’s dead – and I’d have been mighty upset about missing out on the tabard! Bellwether of 4 Haelz recently posted about her woes with Ahune, the summonable boss who’s around during the Fire Festival. I commented there, agreeing and saying that I think Ahune is tuned too hard, and I want to elaborate on that here. We went in there with a group of T5/6 geared people who’ve been grouping for two years or more; as a group, we can do heroic Magisters wipe-free; we’re not random Donalds. We had a bear tank, a BM hunter, two frost mages and me healing. First up, of course, everything in the encounter is immune to frost, which limits the mages to arcane damage (or below-par offspec fire spells), which means they OOM in no time flat. So there are swarms of adds around, which the bear finds very hard to control, so there’s lots of stray agro, everyone gets smeared, I can’t heal through splash damage very well as a paladin, I get smeared from heal agro, we wipe. And because the daily quest is to summon Ahune, not to beat him, you only get five tries a day at him. You should not have to ask people to respec for a holiday event. Holidays are supposed to be fun and relaxing, with some free gifts for everybody. Look at the Headless Horseman – he was, in my opinion, a well-tuned holiday event. Easy enough that you didn’t have to be well-geared to take him on and people could bring alts for a bit of fun; rewarding (gear-wise) for people at the right level to take him on. Compare that with Ahune, who is far more challenging, with a loot table that’s fairly unrewarding for people who can actually beat him. I understand why Ahune and his adds are immune to frost damage, but I think it makes for a bad seasonal event. The one-two punch of the frost immunity plus there being a score of adds that have to be AoE-killed or AoE-tanked is just too picky for a holiday event. In other words: Blizzard, if you’re going to put in a holiday event that’s unplayable for a (fairly popular) spec, you need to make it easy enough that the rest of their party can successfully ‘carry’ them through it rather than having to replace them. Who wants to PuG a holiday? That’s like going on a roadtrip with a stranger because he’s got a better car than your friend. So, I will still be heading for Ahune to smash his face in – I’m not letting that tabard pass me by. But I’m not happy about the design of the encounter, and I think it’s disappointing that Blizzard dropped the ball on this, when the rest of the Fire Festival has been done so well. The XP rewards are astounding! As part of the content, you can run around Honoring the fires of your faction, and Desecrating the fires of the enemy faction, and there are 30+ fires for each side. The XP scales based on level; for instance, Desecrating a fire at level 55 will net you 8150 xp; at level 58, it’s over 9k xp. I can’t speak for all leves, but for my level 55 alt, doing all the fires is going to be worth over 380,000 xp. Given that an entire level only takes about 150k xp for me right now, I’m hoping to be able to ride this event nearly all the way to Outlands! And that’s not including the XP rewards for the other, associated content like the fire-tossing and fire-catching dailies, or Stealing the Flame from all the enemy faction capital cities. So – get out there and burn things!